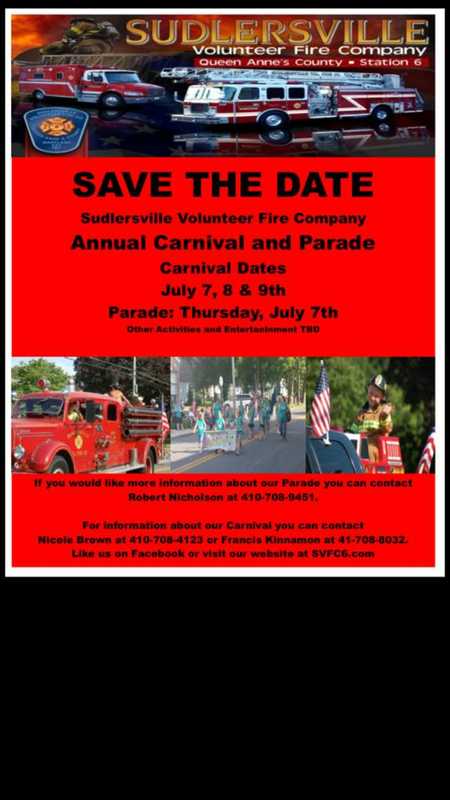 Our annual carnival and parade will be held on July 7, 8, 9th 2016. The parade will be on the 7th of July other entertainment TBD. For more info on carnival activities please contact Nicole Brown 410-708-4123 or Francis Kinnamon 410-708-8032. For more info on the parade please contact Robert Nicholson 410-708-9451 or Joey Apple 443-786-5632 or Greg Winchester 410-490-6720.